Sydney Charter Boats. Party Catamarans and Luxury Cruiser. All listed Vessels are local boats the I-form goes directly to the skipper there is no middleman or agent you deal direct for the best price as we offer this as a service for part of our local boating community to grow and so you get great vale and service via dealing direct with the owners instead of agents. So Select a vessel Now that suits your requirements and submit a I-form below to contact the boat and the owner directly so you can get the best deal and all your requirements and questions meet. Sydney Party Cat with Driver. Up 20 to 30 ppl Max. Party Cat 10.5 m Charter Only with Driver. Nights available. It is a very spacious party catamaran and allows you to climb up onto the roof and have a sun bake & have a swim. Cost effective and great value for a cool gathering of close friends who are up for an adventure on the harbour. You won't be disappointed. Happy Hour is a large, spacious vessel which is ideal to sail the breathtaking sights of Sydney Harbour. 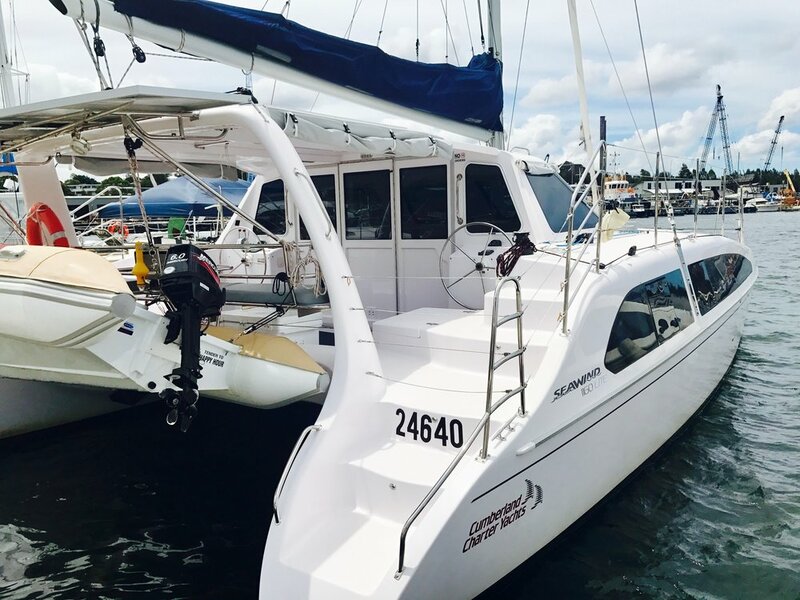 The 38 foot Seawind 1160 LITE is an Australian designed and built sailing catamaran that can accommodate up to 26 guests. Happy Hour will give you a unique experience sailing Sydney Harbour. Below form goes Direct to the Owner of RumRunner and no commission is charged so you will able to negotiate the best price possible as there are no brokerage fees and your dealing direct with the owner. request Form Only. The catamaran is an extremely stable vessel with a large covered sitting and cockpit area. The vessel allows for guests to sit comfortably and enjoy uninterrupted views of one of the world’s great waterways. Choose the best size Boat for your Party. Thank you! The skipper/owner will cont you soon to discuss your requirments and any questions. Plus+ you get Our $50 Cash Back Offer* on all Hires. ( Note Plus $100 per hr for Bucks and Hens party due to extra requirements.) Possible Extra charges for Public Holiday, Xmas holiday period booking due to high demand. Submit a quote to confirm date and price on all Cruise Charters as pricing doses fluctuate on the time of the cheaper off-peak.